Key Verse: Verse 17 - “I have perfumed my bed with myrrh, aloes, and cinnamon." It is believed that cinnamon is very low in saturated fat, cholesterol and sodium. Cinnamon is a good source of Vitamin K which helps prevent blood clotting and is a very good source of dietary fiber and manganese. 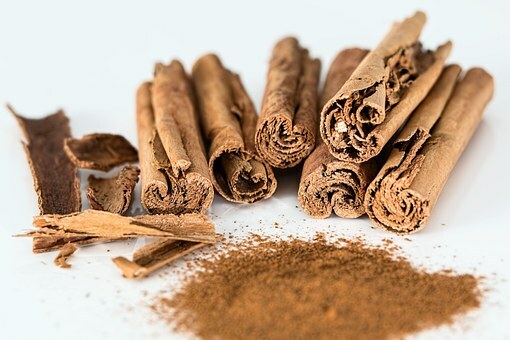 It is very obvious from our text that cinnamon is used as a perfume for drawing appeal as well. Now cinnamon itself is not bad, it just depends on what we use it for. It is said that visitors at Niagara Falls often have their attention called to a certain cliff over the boiling current below where a young lady some years ago lost her life. She was delighted with the beautiful scene and eager to pluck some wild flowers from a cliff where no human hand had ever ventured. She climbed the cliff and grasped the flowers; but as she gazed down upon the surging waters below, she became dizzy; and with a wild shriek she plunged like a falling star to her death below. Now, the flowers were not the problem, her desire was the problem. Our craving for things we should not crave will always lead us to destruction. So the next time you see, taste, or smell cinnamon, remember to keep your cravings under God’s control.